All red conventional call points are approved to Marine approvals (MED). Used as part of fire protection systems in passenger or cargo ships, and tankers, etc. They are available in indoor (MCP) and waterproof (WCP) variants. 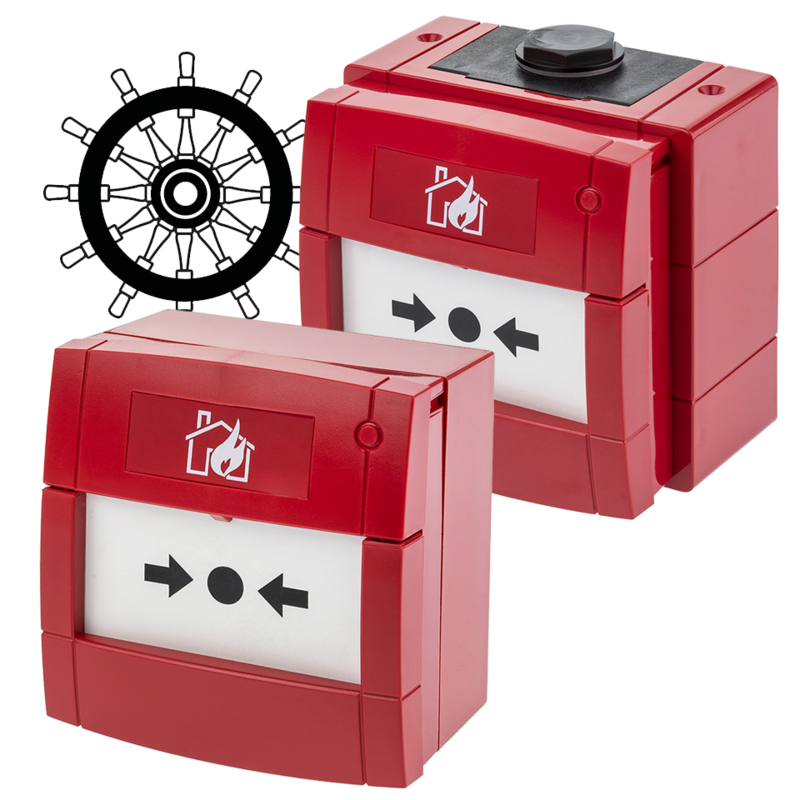 The plug and play design facilitates first fix capability and provides an easy to install solution of the highest quality and reliability – protecting people and property from fire threats.